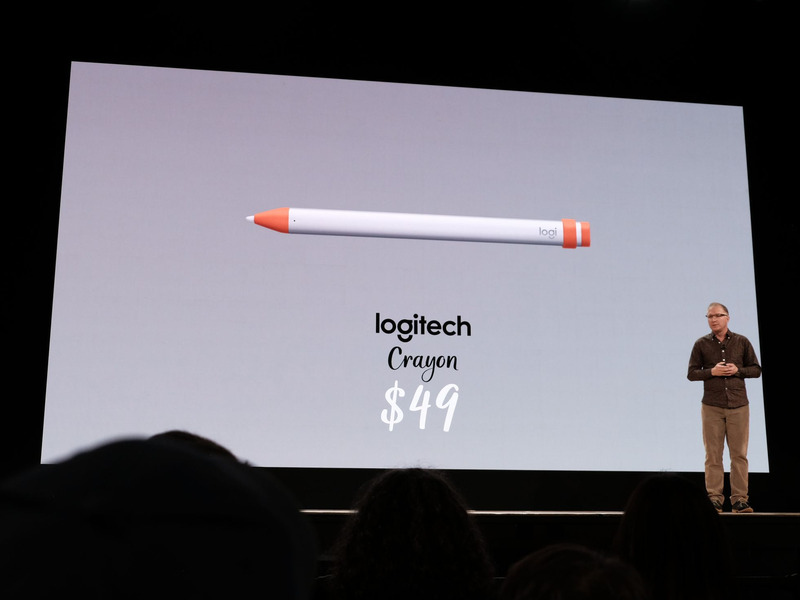 Dan Seifert/The VergeApple’s Greg Joswiak introduces the Logitech Crayon at Apple’s education event in Chicago on March 27, 2018. 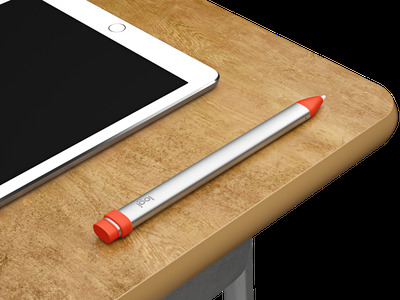 Logitech just announced its own take on the $US100 Apple Pencil, which lets you draw and write on the iPad. 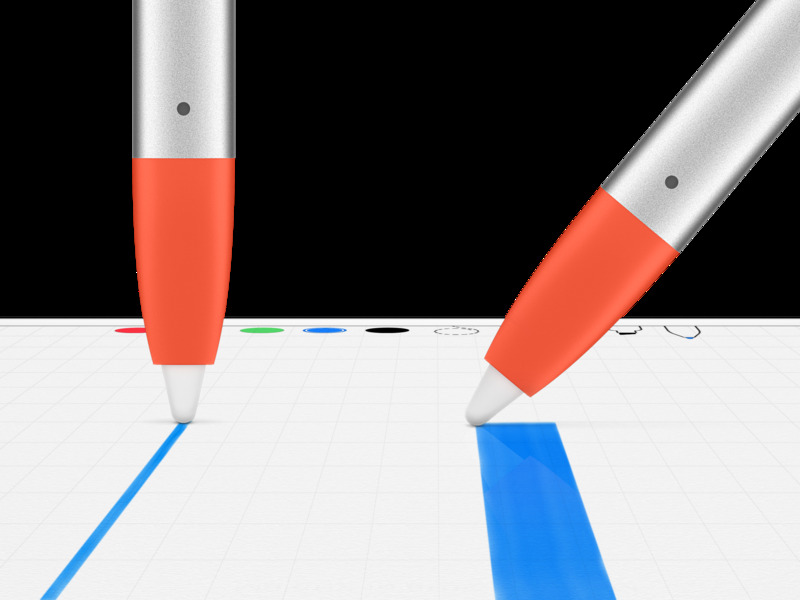 Logitech’s new “Crayon” is compatible with the new 9.7-inch iPad, but at $US50, only costs half the retail price of the Apple Pencil (though it’s slightly discounted for the education crowd at $US90). 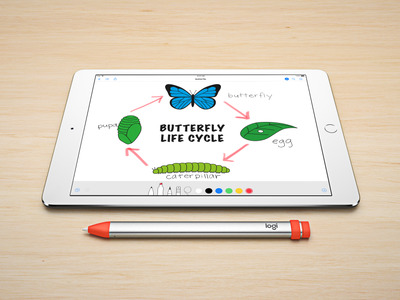 The Apple Pencil wasn’t designed with children in mind, so Logitech’s Crayon updates those features to make it a more kid-friendly option. The Crayon’s prism-like shape ensures it won’t roll off surfaces. The Logitech Crayon automatically pairs with the new sixth-generation iPad and “leverages technology found in Apple Pencil to deliver sub-pixel precision, low latency and support for tilt in a design that’s perfect for students,” according to <a href=”http://news.logitech.com/press-release/consumer-products/announcing-logitech-crayon-ipad-designed-student-creativity-classroo” target=”_blank”>the company</a>. Logitech Crayon works with Microsoft Office and Explain Everything, as well as Apple’s Pages, Numbers, and Keynote, which have all been updated for the new iPad and the Apple Pencil. 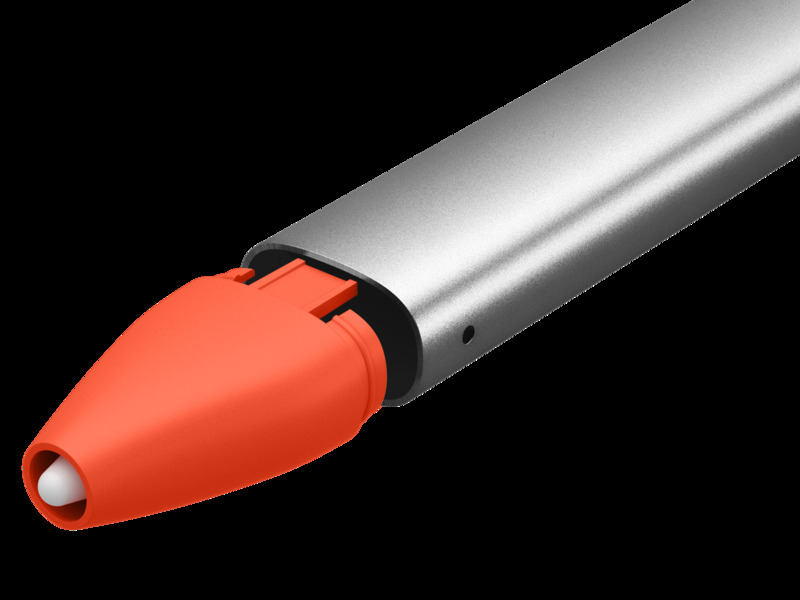 The Crayon’s tip is “pry-resistant,” and requires a special tool to be removed. 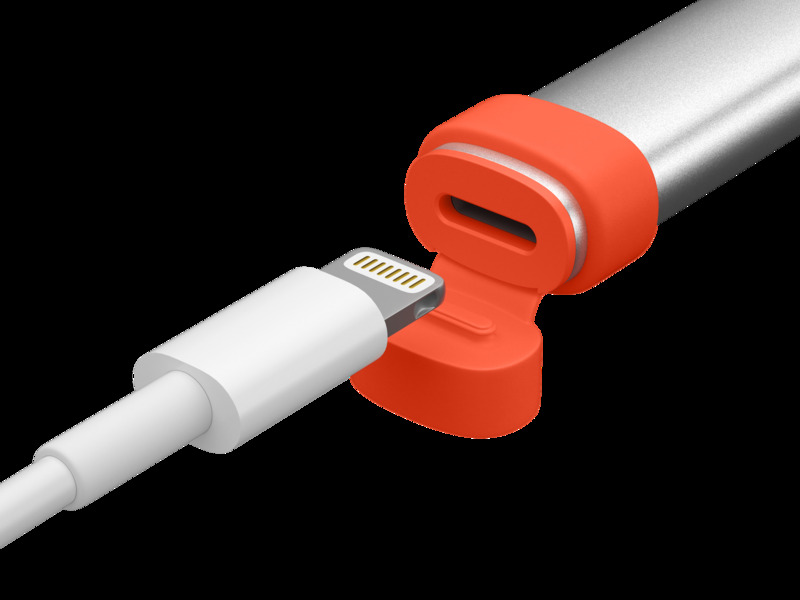 The Logitech Crayon’s cap is tethered so you can’t lose it. US schools and school districts will be able to purchase the Logitech Crayon this summer on <a href=”https://www.apple.com/education/how-to-buy/” target=”_blank”>Apple’s website</a>. It costs $US49.